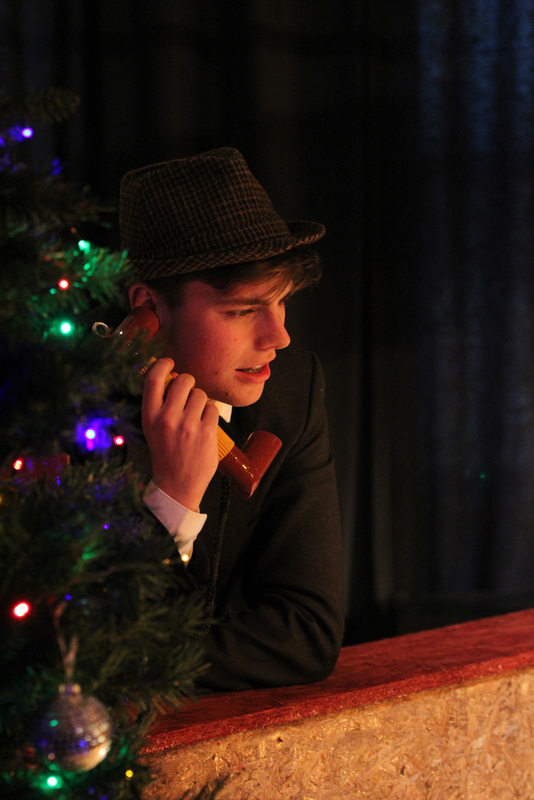 At the helm is year 12 student, Eddie Cluderay starring as George Bailey. 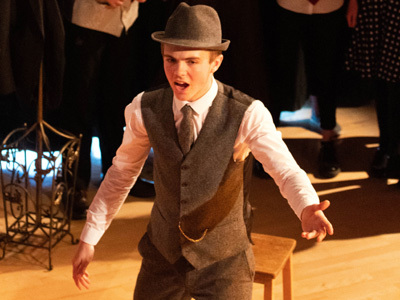 His first venture on the stage, Eddie brings all the charisma and lovability that made the character so iconic. He drives the performance through the many challenges that George Bailey encounters. The Angels control the procedures, with Ruby Furby’s comic Clarence bringing real joy and innocence to the role. We would not be invested in the story of George if it wasn’t for his love story with Mary Bailey; Olivia Robinson, who is instantly caring, loving and their love story is truly beautiful. 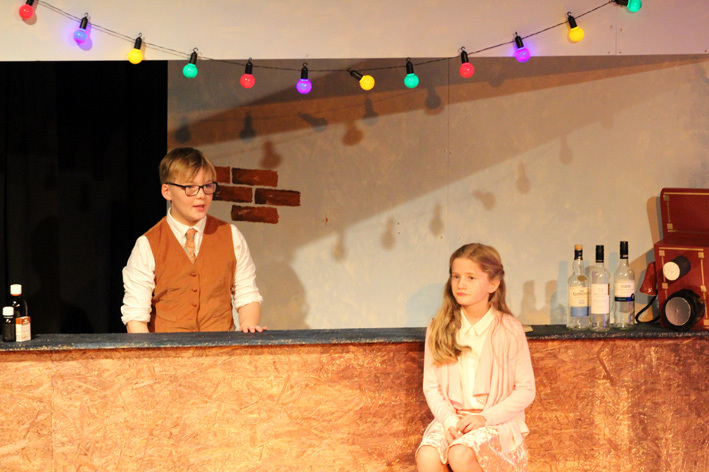 We also have stand out performances from Ed Hoult who plays loveable Uncle Billy, Jemima Reaney playing the villain, Mrs Potter, and the sultry Violet played by Eve Townsend. 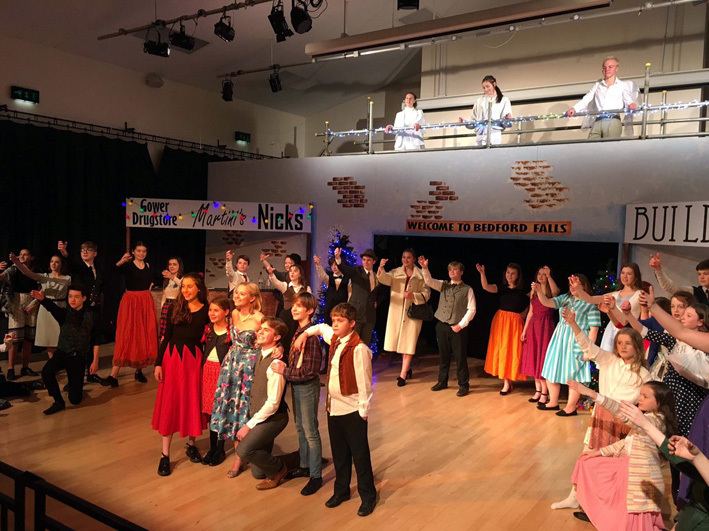 New year 7 students are the epitome of professionalism drawing on the knowledge and skills of their older cast members including Alice Jackson who takes on the role of Young Mary with great confidence. 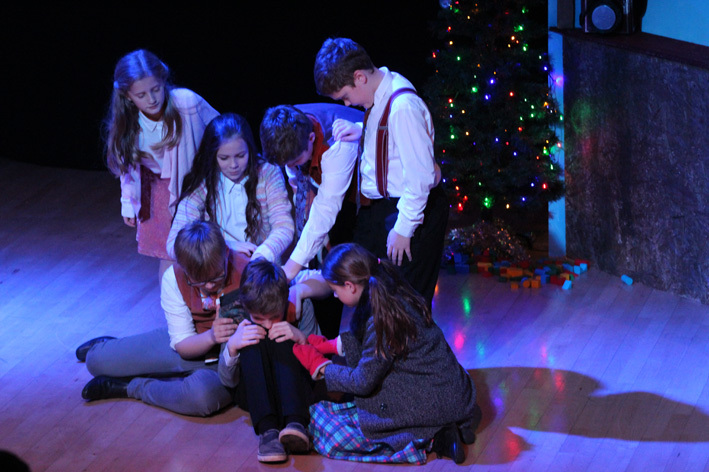 It is a play that does not work without the ensemble and this is possibly the greatest strength to the whole piece. 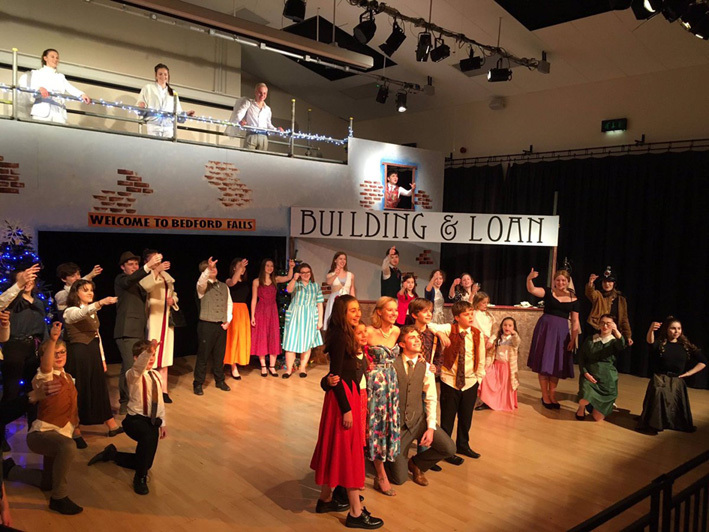 From the prom dancing to the emotional ending as we celebrate the life of George, the cast work as one supporting each other throughout. 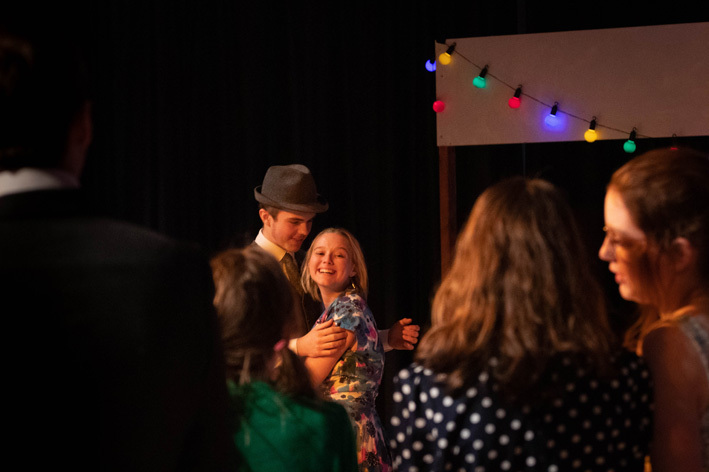 Productions like this do not work without the support of others, and what a team of support we have had. The set was painted by the year 12 A Level Art students. 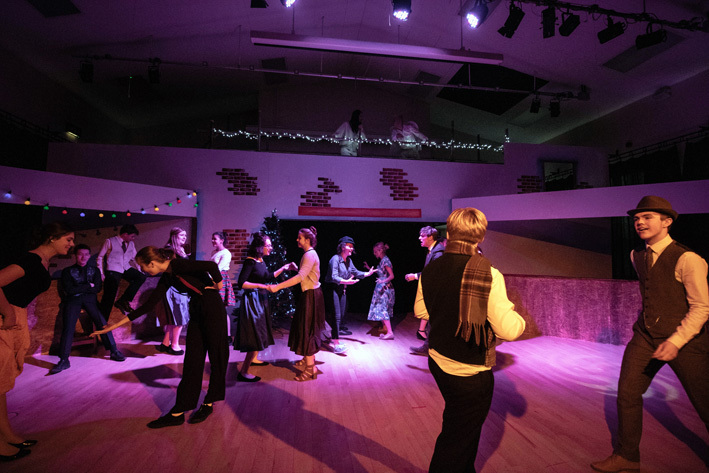 The music was recorded by year 10 music students, led by Lucy Kilner, who also played live Christmas music in the interval. 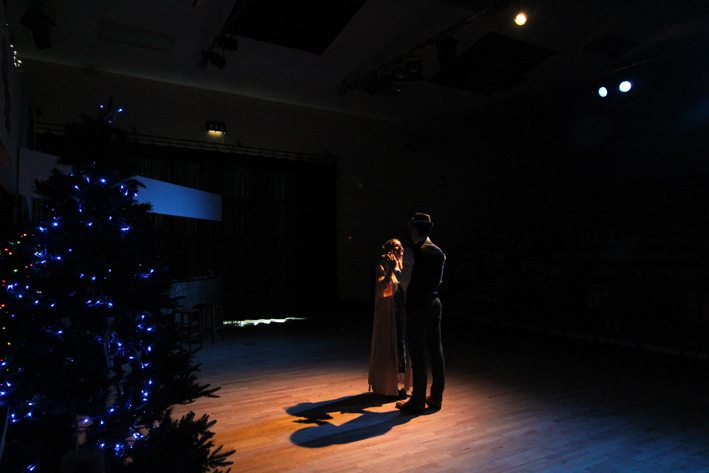 The photographs were all taken by year 11 student, Dan Johnson who beautifully captures the mood of the play. The posters were also designed by year 12 student, Joanna Milton. 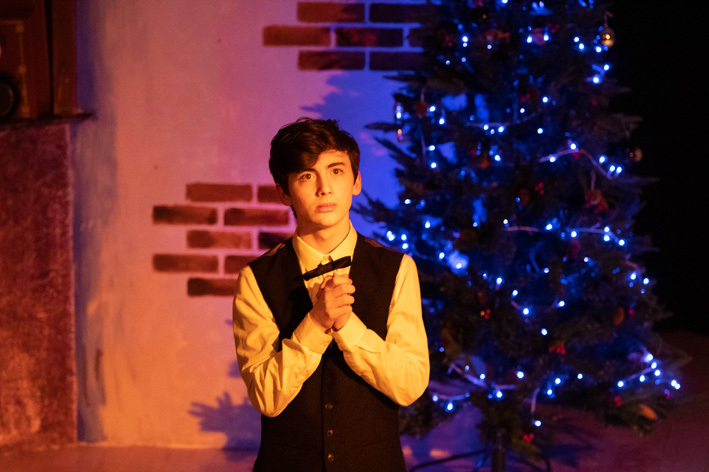 Parents in the community supported the design elements of the play, which was stage-managed on the night by year 11 student, Robin Trigoso with year 9 Callum Abbott and year 11 Rory Pearson running sound and lighting.